This post is about my personal experience choosing between phone ecosystems, which (to possibly overstate the case) is one of the most impactful decisions many of us make as tech consumers. 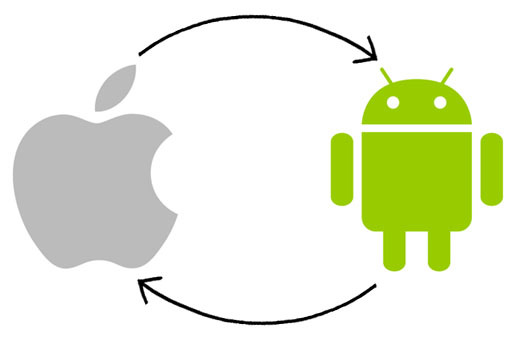 The difference between iOS and Android is significant, each carrying features and restrictions that have real effects on daily life. I'm not a professional tech writer, so I don't have test units to constantly test-drive and switch between; for me, like most people, the chance to choose only comes once every year or two. It's not to be taken lightly. My original reasons for switching are less valid now. iPhones have larger displays, iOS is more open, and Google services are almost universally available and work smoothly. iMessage Purgatory burned me. I was dropped from conversations by iPhones that still thought I was on iMessage. Texting is perhaps the most crucial thing phones do these days (it sure isn't phone calls), so switching back will be a real relief - but I still blame Apple for the technological fumble. It's just tougher being an Android user. Lightning cables and iPhone-compatible headphones are everywhere, but USB-C and Android-compatible (3-button) headphones are tough to find. Other accessories are the same way, as iPhone leads the premium US market and makes it easy on accessory makers with only 2 or 3 models they need to accommodate. You know what you'll get with an iPhone. You'll get a damn good camera, a good-looking (if not crazy-hi-res) display, a highly-polished experience, and killer build quality. With Android phones, those things are all up in the air, so you need to do your homework. Things I'll miss about Android: wireless charging (though the 5X dropped that anyway, much to my dismay), low cost (though for something I use many times every day, I've come to the belief that it's worth the price to get just the right thing), widgets, custom launchers, the "back" and "menu" buttons, the plastic body that feels so drop-resistant. The feeling of being a techie who goes my own way. Things I'll welcome back with iPhone: getting new apps earlier, tighter control of the experience (it was sometimes choppy on Android), 3D Touch (if I ever use it? ), Find My Friends (so I can stop wondering or asking about ETAs), iMessages actually working, compatibility with my AppleTV, the silence switch, the metal body that feels so good. The comfort and ease of being part of the market majority. What might happen that'd make me switch back? I suppose Apple would need to open its services (iMessage, Find My Friends, iTunes music and movies) to Android, or at least definitively fix iMessage Purgatory. Or, Android would have to pull so far ahead in some respect that it would override those things, or in a very un-Google way, choose to make some of its services exclusive to Android devices. None of those things seems likely in the short term, so it's time for me to bid Android a fond farewell, and welcome iPhone back with open arms. Looking presentable in an ID photo can have immeasurable intangible benefits: you're taken more seriously, respected more easily, given the benefit of the doubt. 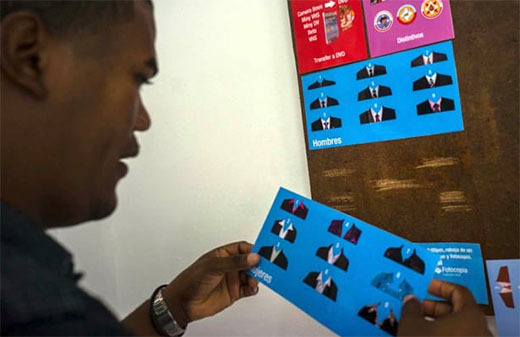 So when Cubans have their passport photos taken, Lian Marrero will Photoshop a suit onto them. It's much more cost-effective than buying or even renting a suit for the purpose, and in a world where aesthetic perception matters perhaps more than it should, the service sets his customers up for success. Not a bad deal! "Smart Replies" act human so you don't have to. 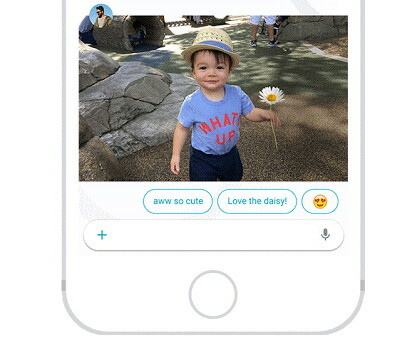 One of the features demonstrated in Google's upcoming Allo messaging app is Smart Replies: AI will analyze the conversation and context, and suggest some possible ready-to-send responses. The image above shows an example, where "aww so cute" and "Love the daisy!" are suggested by the app based on what it parses from the received photo. This is certainly technologically impressive, where the AI is doing a fine job impersonating a human; the problem is that I don't want to outsource my humanity. I want my what I say to come from me, not the suggestions of a bot - and I want to know the same is true of what is said to me by other flesh-and-blood humans, even if it's via electronic means. Autocorrect features to fix typos or speed up text entry are fine, as they don't interfere with human-originated intentions - even offering quick-responses like "running late" or "busy now" is handy for quick logistical messages. But when AI strays into how I should emotionally communicate with others, that's too far. Engadget's Nicole Lee agrees: don't send me Smart Replies! That one key on the keyboard performs both functions: backspace when editing text, or "back" to the previous page when web browsing. However, when editing text in a web browser, it can be easy to make a mistake: if focus is on the page rather than the text field within the page, you risk losing whatever you'd been typing. 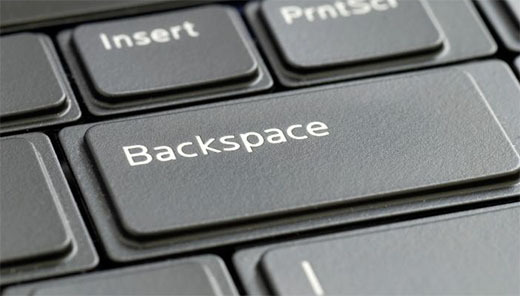 Google thinks the usage of the key as "back" instead of "backspace" is antiquated, citing the mere 0.04 percent of page views it triggers, and has experimented with removing that function. A mostly-techie set of critics has made their objection known - but the numbers, and the usability, may be with the masses here!